I love the Spring! The weather is nicer, but still not too hot yet. The cherry blossom trees are in bloom. Everything starts to turn green again. 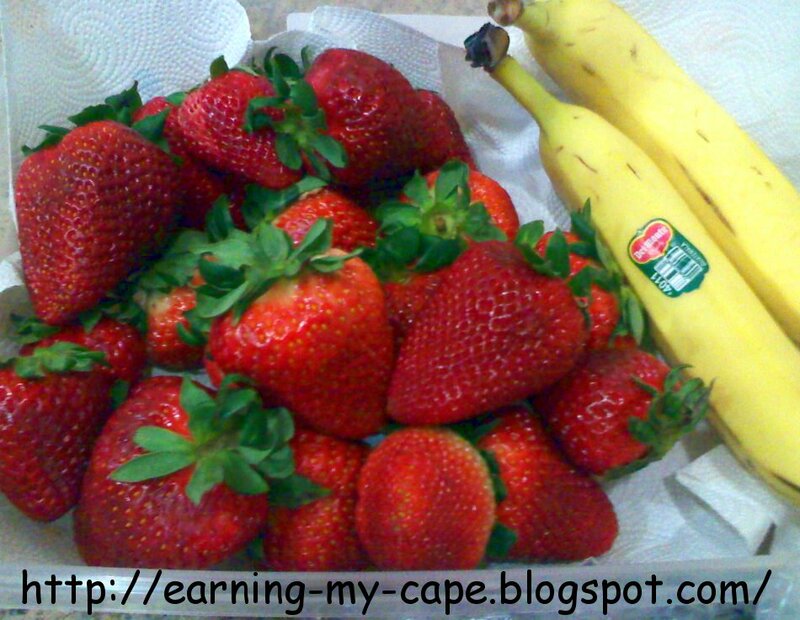 One of the very best things about Spring, though, is STRAWBERRIES!!!! Some of the very best strawberries we've ever tasted come from an area near the Monterrey Bay in California. They are sweet, flavorful, juicy, and quite possibly the yummiest strawberries you'll ever taste! If you are ever driving through Watsonville, CA, then stop by a roadside stand and buy a basket... or a flat. Or if you are in Northern California, check out your local farmers market. We have gotten them from our local farmers market many times. Just ask where they are grown. And show up early- they sell out FAST! You'll occasionally notice strawberries from Watsonville in stores, and while they are good, they just don't compare to the ones sold in the stands or the farmers markets. My husband bought some strawberries from the store last week. They weren't from Watsonville. They were still good, though. Just not the best strawberries EVER. He also bought some dark chocolate chips and white chips. Yum! 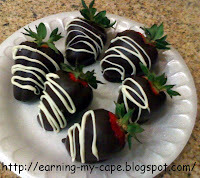 Chocolate Dipped Strawberries!!! 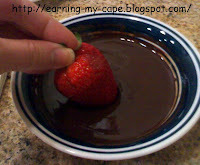 I'll share my Chocolate Dipped Strawberries recipe, and I would love it if you will link up your strawberry recipes, too! Wash and thoroughly dry your strawberries. Leave the stems on. 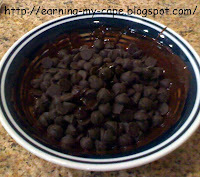 Put your chocolate chips in a microwave safe bowl. Tip: Make sure your bowl is completely dry. Any water or moisture in the bowl will make your chocolate seize up... NOT good. Add a little oil or shortening. I usually use about a teaspoon of oil for each cup of chips. Microwave the chips for about 20 seconds. Stir (make sure your spoon is dry). Put it in for another 20 seconds, or so. Just until melted. Stir again. The chips might not look melted, but when you stir them, they melt. 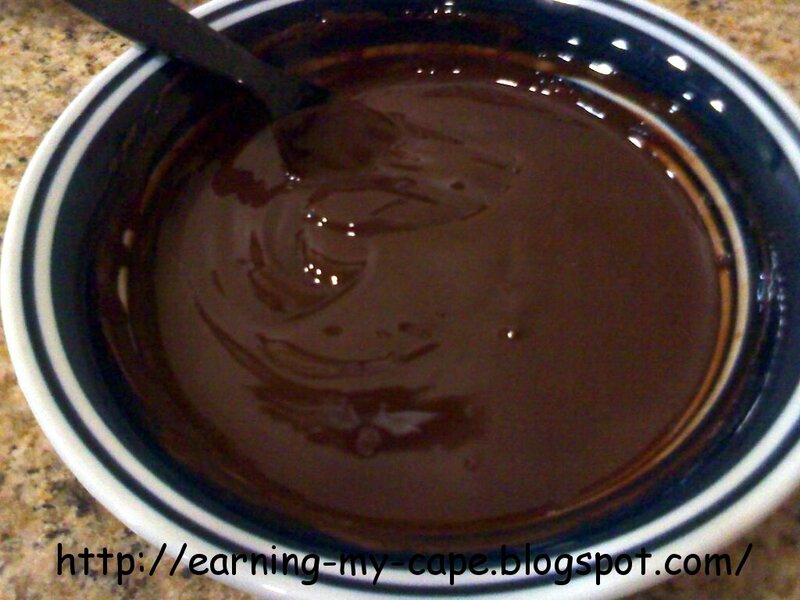 If they aren't yet melted, microwave for 10 seconds at a time, stirring after each, until they are melted. You don't want to let the chocolate burn.... trust me! 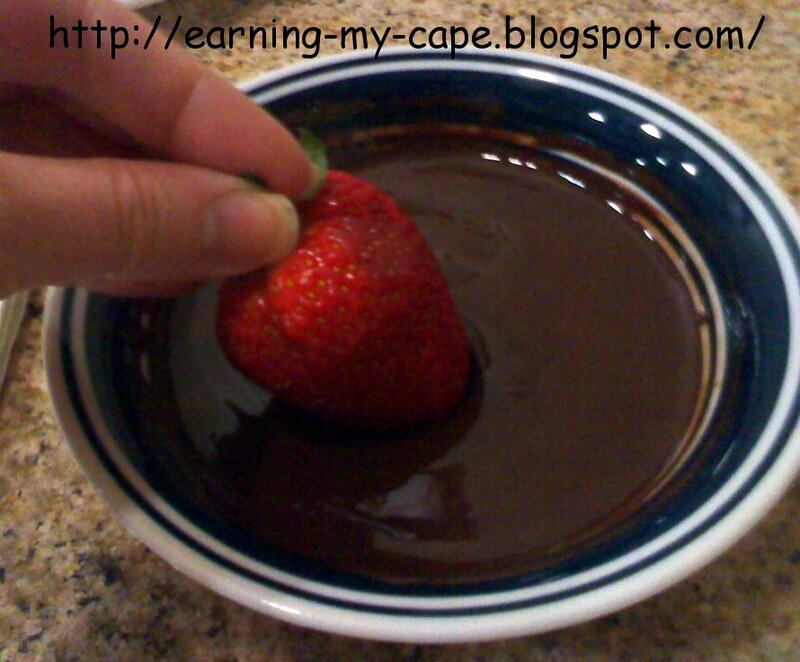 Once the chocolate is melted, grab a strawberry by the green and dip it. 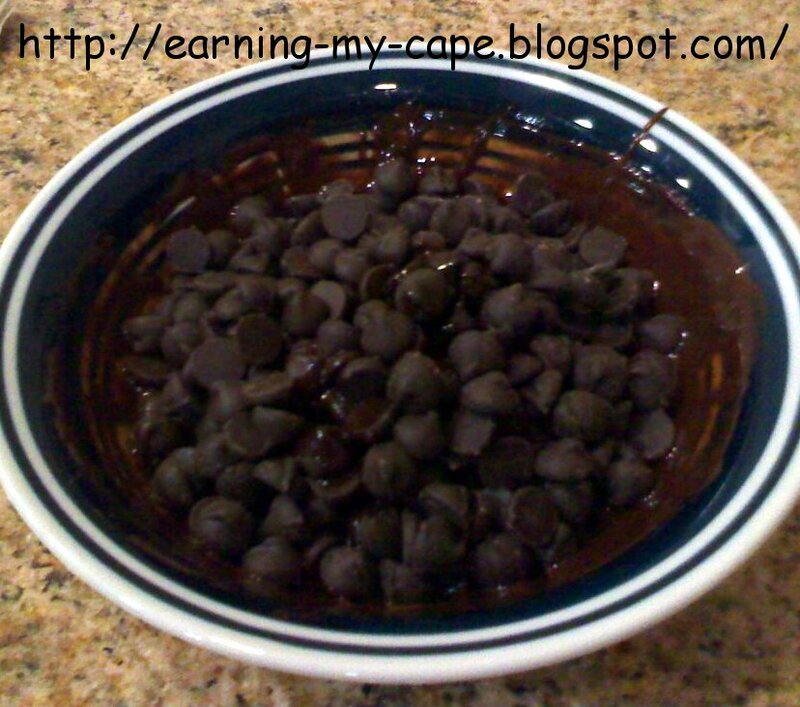 Set it on a paper plate or a cookie sheet lined with foil or waxed paper. Repeat with all of the strawberries. 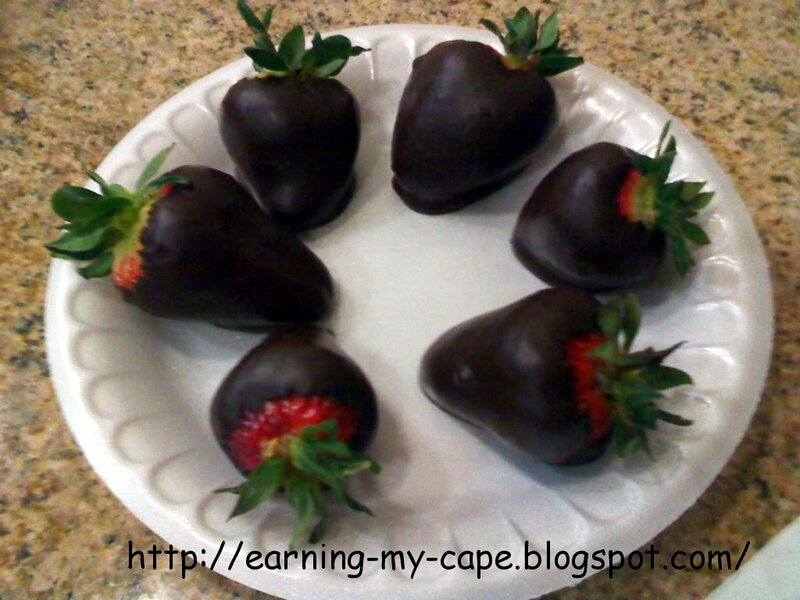 Now, put them in the fridge for a few minutes until the chocolate is set. Once set, remove from the fridge. Put about 1/2 cup of white chips in a plastic bag, and microwave it for about 15 seconds. Squish it around and make sure it is melted. If not, nuke it a few seconds at a time, until it is. Once melted, cut a tiny hole in the corner of the bag. Drizzle over the chocolate covered strawberries. Alternatively, you can melt the white chips in a bowl and drizzle with a fork. Return the berries to the fridge until they are set. Eat... and make sure you share... it'll be hard to share, but sharing is nice. You can do the same with other fruits. 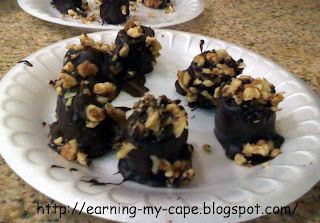 I dipped some banana chunks in chocolate, then sprinkled on some chopped walnuts before the chocolate was set... they were yummy... just not very pretty. Did you buy a TON of strawberries? 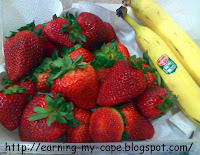 Check out this tip on how to keep strawberries fresh longer without mold from an awesome blog called The Hidden Pantry. And check out these recipes for Strawberries and Cream Butter Cake and one of my favorites Banana Split Cake from another awesome blog called Sweet Tea and Cornbread. What are your favorite Spring-time treats? How do you like to prepare your strawberries? Leave a comment to share. Do you have any yummy strawberry recipes on your blog? Please link them up! My stomach literally growled from looking at this. So yummy! 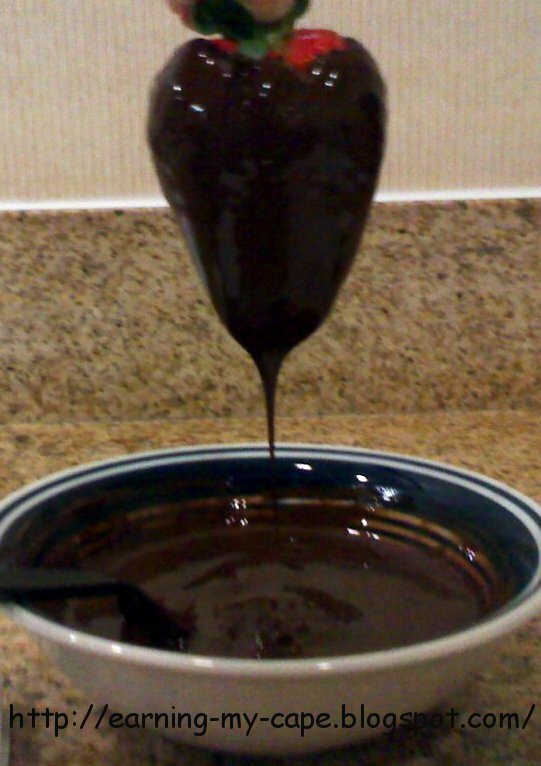 I just got a chocolate melter thingy and I think I'm going to have to break it out! Thanks for linking up to A Pinteresting Party! YUMMY!!! They look so pretty too!! Thanks so much for sharing at Two Sasters! !